We’ve seen some pretty cool stuff come out of Netflix’s previous semi-annual Hack Day events. A product of its most recent competition that involves a beloved game console, however, may be my favorite yet. The project is called darNES and as the name suggests, it brings Netflix to the original Nintendo Entertainment System. 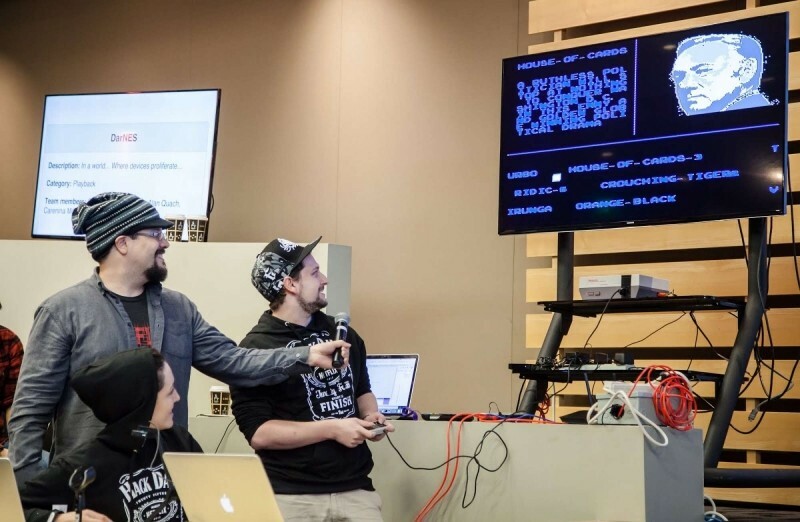 Created by Guy Cirino, Alex Wolfe and Carenina Motion, the hack appears to use a standard NES cartridge to load Netflix and even play season three of House of Cards. Netflix’s Winter 2015 Hack Day turned out several other noteworthy concoctions such as an animated 3D globe that shows real-time global playback activity. Another project called Say Whaaat!!! (that would actually make a solid addition to Netflix) provides subtitles of recent dialogue when a show or movie is paused.